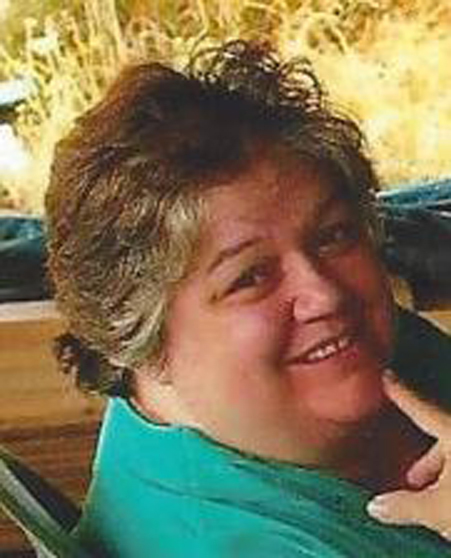 Sandra “Sis” Lee, 59, of 7128 Kings Corners Road, Panama, passed away Friday, (June 29, 2018) at UPMC Chautauqua WCA. She was born Jan. 21, 1959, in Warren, Pa., the daughter of Joseph and Ella Irwin Barto. She was a graduate of Frewsburg High School and had attended Jamestown Community College. Sandra was employed at Cummins Engine. She attended the Ellery Baptist Church and had a personal relationship with Jesus her savior, and is in his presence for eternity. Sis was an avid reader and writer and assisted in an after school program where she influenced many children. Sis enjoyed history, comedy, old movies, and had a great memory for recalling things in detail. She had a beautiful soul and would always go out of her way to help anyone in need. She was a mentor, a mother, a best friend, the equalizer and keystone to her family. She could watch jeopardy and call out answers even before the contestants could. The insurmountable amount of wisdom, joy and love she had can only be compared to something angelic. “She was the the smartest, most beautiful, kind, loving, caring best mother and best friend we could have ever dreamed to ask for.” –her sons and husband. Besides her mother, Ella of Frewsburg, Sis is survived by her husband, John Lee, whom she married Dec. 5, 1992: three sons: John Ross Lee and Marcus Grant Lee of Falconer and Thomas Sandford Lee of Panama; two stepchildren: Jeremiah (Carey) Lee and Jessica (Michael) Watson; five stepgrandchildren: Avery, Taylor, Miah, Mason and Micah; her sister, Kathleen (Michael) Abbate of Ashville, N.Y.; and two brothers: Joseph (Tammie) Barto of Kiantone and Tony (Sherri) Barto of Franklin, Va.
She was predeceased by her father and maternal and paternal grandparents. The funeral will be held at 11 a.m. Friday in the Peterson Funeral Home, Frewsburg. The Rev. Steven Malanowski, pastor of Ellery Baptist Church will officiate. Burial will be in Maple Grove Cemetery, Frewsburg. The family will receive friends from 4-7 p.m. Thursday and one hour prior to the service on Friday. Memorials may be made to the Panama Fire Department, 27 E. Main St., Panama, NY 14767.